While Deeper Smart Sonar is successfully picking up significant international awards and surely is gaining ground among world’s most popular echo-sounder producers. Back at home the company of smart electronics is equally growing its popularity and attaining national recognition. 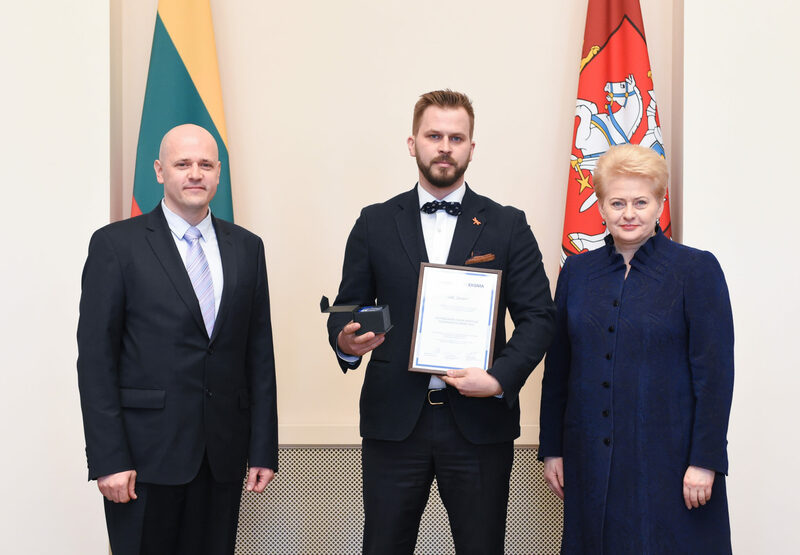 Deeper was nominated as the most successful young high-tech company of the 2015 and received the honorable award which was presented by the President of the Republic of Lithuania Dalia Grybauskaite. The ceremony took place at the Presidential Palace on Friday, 26th of February. Deeper outperformed the number of solid competitors among them oncoimmunology, sensory diagnostics, gaming, impulsive laser, holographic lithography and other impressive technologies. The award was specifically dedicated to honor and stimulate the company of Lithuanian origin for an innovative solution that is suitable for public use, is competitive in multiple markets and demonstrates strong potential to develop. Aurelijus Liubinas, CEO at Deeper accepted the award this afternoon and expressed his gratitude – “We’re proud to accept the national appreciation. We started the enterprise four years ago with a confidence to develop our idea here, in Lithuania, knowing we can count on compatriots engineers and programmers. We launched our first wireless Deeper Smart Sonar in 2014. We’re growing up fast and strive to leave our own contribution to the evolution of technology”.